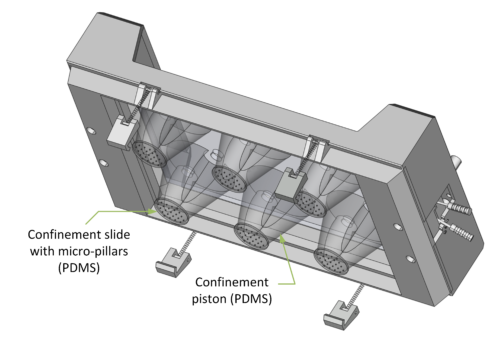 The CSOW 610 – static confiner is a portable device that allows confining cells within two surfaces with nanometer precision. The space between the two surfaces is controlled by using micro PDMS pillars. 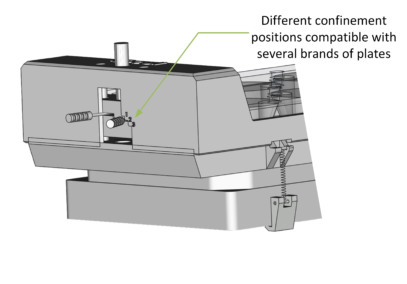 The micro pillars are fabricated in a glass slide, which is attached to a PDMS piston. 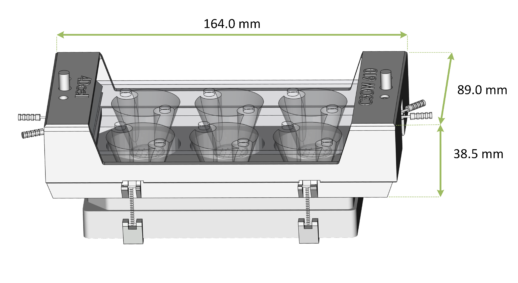 The CSOW 610 is the device that controls the position of the pistons and it is compatible with several brands of 6-well plates. 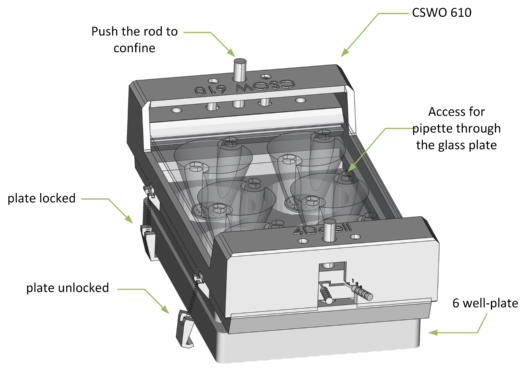 In the end of the confinement experiments, the cells can be retrieved enabling further biochemical studies. The user decides when and where to confine the cells as it is not necessary to plug it to any other device. 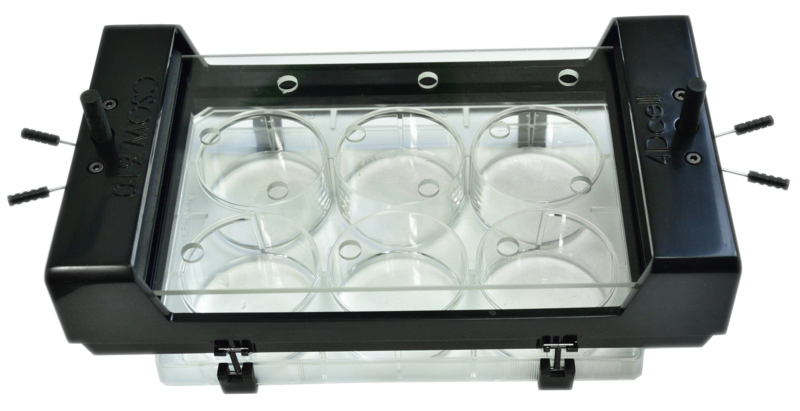 The CSWO is compatible with different brands of 6-well plates (Cellvis, Falcon (glass and plastic bottom), Nunc, TPP). If this device does not fit with your constraints, get in touch with us! We can personalize it for you! 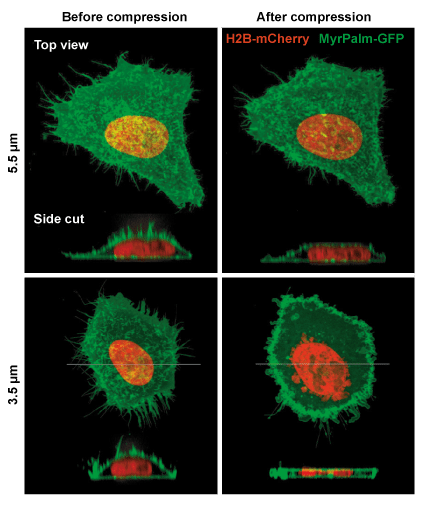 Video of HeLa cells under confinement using a 4Dcell confiner, going from initial state to extremely confined.